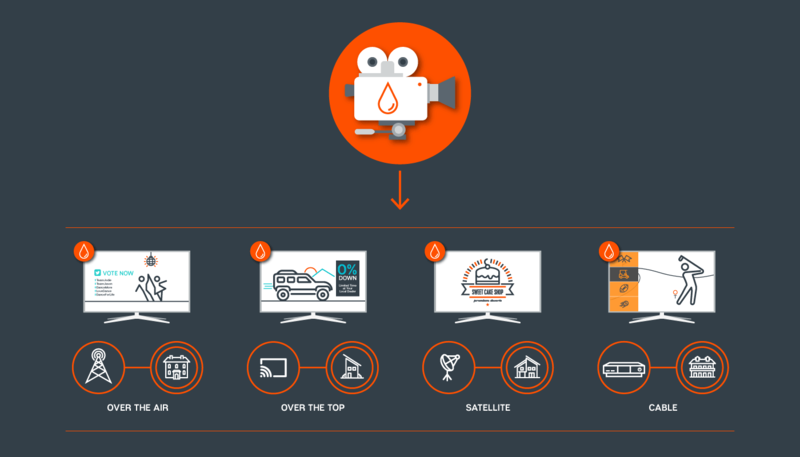 Aspect™ provides tools that empower you to create the most appealing brand of television. Put tomorrow’s technology in your devices today. Accelerate next generation television value. Aspect enables immersive viewer experiences on televisions across all distribution environments: over-the-air, over-the-top, cable, telco, and satellite. Activating broadband capabilities connects millions of viewers in the personalized, interactive, and dynamic ways they are accustomed to online. Aspect delivers frame-accurate advanced advertising and television features. The lightweight, Aspect Watermark is compatible with today’s broadcast framework and any existing ACR. Aspect is easily installed on devices at the browser, operating system, or chip level with low impact on resources. Next-generation viewer experiences drive demand for televisions, accelerating upgrade cycles of devices that are Aspect enabled. Compatible with today’s broadcast framework, deploying Aspect provides early, hands-on experience with delivering broadband capabilities on broadcast television. Aspect unifies next generation broadcast television experiences and enables advanced television at scale. With broadcaster commitment to adopting the new standards, the future of television rests in innovating business and revenue models, developing compelling products, and making the most watched television content the most dynamic and appealing to consumers. The Advanced Television Systems Committee selected the Aspect Watermark as a core component of the next generation television standard, ATSC 3.0. Compatible with today’s television standards, Aspect accelerates broadband features on broadcast television.